Pinux Studio – We provide smart solutions. You consider your problems solved. We provide smart solutions. You consider your problems solved. 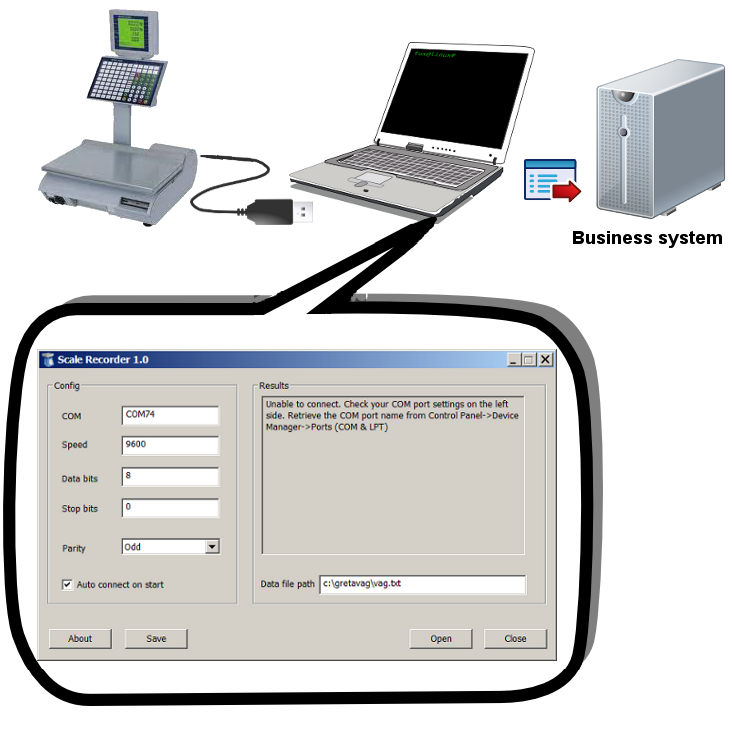 With Scale Recorder you can transfer measurement results from a Mettler Toledo scale directly into the program which can display or relay the data into your business system depending on the technology you use. The software is versatile, robust and easy to use. This software helped my client, a swedish food company ( revenue around 420 million SEK ) save millions of Swedish kronor on purchasing BalanceLink licenses. iPCU (iPhone Configuration Utility) lets you easily configure iPhone/iPodTouch/iPad to work with your enterprise system OR switch on features that aren’t enabled by default or configurable on device. If you need to change the device’s APN (Access Point Name) and cell network proxy settings or switch between a public APN and a corporate APN, iPCU can help you ease the whole process. Let iOS devices synchronize calendar with your company’s CalDAV server OR add read-only subscriptions to the device’s Calendar app. Let iOS devices access your company’s contact list. First create a profile and then tap the Install button. Safari helps you load the configuration profile and launch the installer. Follow the “Install Profile Howto” in the screenshot image below. Enter your or others’ Email address and then tap the Send button. Later on, all recipients can open up Mail App and the iPCU Email they have received. Tap the attached profile, iPCU.mobileconfig to launch the installer and follow the “Install profile Howto”. FTP the profile, iPCU.mobileconfig to your Web server. Your audiences can then install the profile by browsing it from their Safari. iPCU has integrated an SMS module to let you easily distribute the URL to your users. Installing a profile is as easy as tapping a URL in the SMS. So you think you can survive all kinds of moron tests out there without making a mistake? So you think you are quick and smart enough to master all the tricky questions and laugh at your friends not being laughed? Do you want to know what has happened through the evolutionary timeline of human history and be part of it? Have you ever wondered what age are we currently living in and what age we will be entering? Play this game and you will find out why people like us living in the button age, say “Be smart and be part of history”. Pouring a mug of beer, sliding it to your customer, catching empty mugs sent back from drinkers. You think this is an easy job? Well say that again after you play this game. iBeerTender is an addictive “fill-em-up” game where you play a multitasking bar tender with a job of serving beers to your customers. Slide up or down to get the tender running to the right table. Slide to the left to serve a beer. Remember one beer to one customer at a time and no broken mugs. Customers will keep asking for a refill until they walk away from your bar satisfied. The English name of this game is IQ got Punk’d. You need a high IQ to not get punk’d by this game or do you? The game includes questions from astronomy, geography, mathematics, geometry, English and Chinese language, movie, and more. Special knowledge is not needed but you’ve got to have a good understanding of Chinese to be able to play it around. You will have more fun watching your friends fail in the test! Five different game levels ranging from Xiucai to Zhuangyuan. Your favorite melody as the background music. A checkpoint for test each level. A very special final test result. See if you can get it. Tele2 Connect enables easy Internet access—regardless of location and network. By automatically finding the best connection for uninterrupted, seamless connectivity. Connect client can detect the best available wireless network (3G or WiFi). To connect to either of them, it is as simple as clicking one Connect button. Telia Connect manager is the first wireless network manager on MAC OS X. It provides wireless network auto detection, connection, and roaming functionalities.